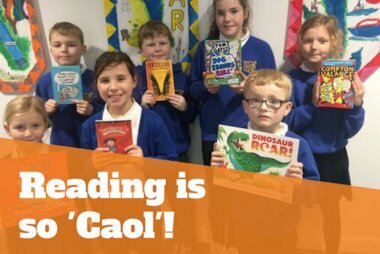 We asked Nicola Cleveland, school librarian at Cannon Park Primary School, to blog about her experience of running a Scholastic Book Club. In her first post, she explains the set-up process and handing leaflets out to the children. With so many activities going on in school surrounding reading for pleasure linked to World Book Day over three weeks, we thought it would be the ideal time to set up a Scholastic Book Club. There really is something for everyone, from the latest releases, to whole collections; both fiction and non-fiction, for every age group, some with up to 70% discount on retail prices. 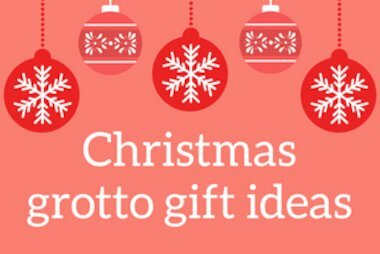 And for every £1 spent, the school receive 20p back in rewards to stock up on new titles. The requested brochures arrived and my pupil librarians sorted them to class piles and distributed them while I went online to set the Scholastic Book Club up. Sit back and wait for the emails telling you what’s been ordered, and start mentally spending your school rewards! I had set the Scholastic Book Club up, created the letter to go home with the brochures, and updated our school website, before my pupil librarians had managed to sort out seven piles of 30 brochures. The most enjoyable part of the whole set up process is handing out the brochures to the children. I gave our Year 5s 15 minutes to look through their brochures together. It was fabulous watching them point out titles to their friends, recommending books and wanting to try something new. And the best bit? 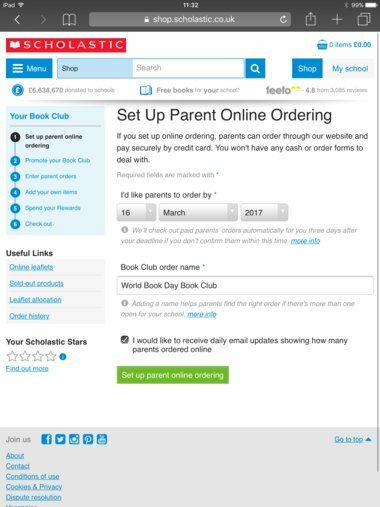 There is absolutely no administration beyond the initial set up, if you choose to host your Scholastic Book Club online – no money coming into school to get lost on route to the office, no extra finance for the school office to collect, collate and account for – just a daily email telling you who’s placed an order and how much has been raised in rewards. We’ve set ours to run for two weeks. And then, I get to pick some new titles too! 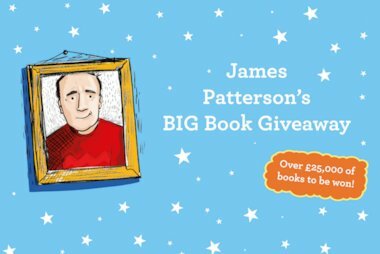 Find out more about Scholastic Book Clubs and how your school can be involved here.